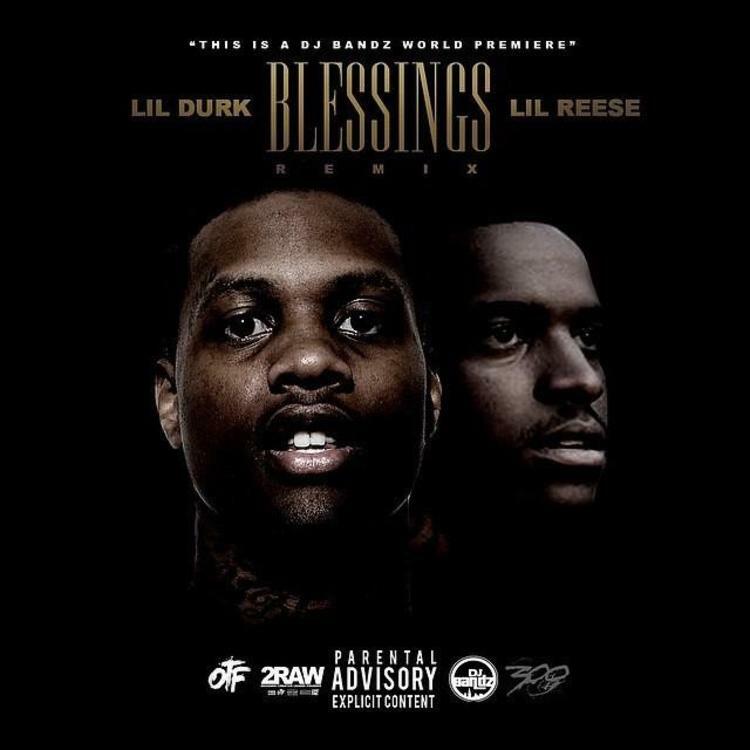 Lil Durk and Lil Reese team up on "Blessed (Remix)." Lil Durk's debut album Remember My Name is scheduled to drop May 12. But that isn't stopping him from putting out loose tracks in the meantime. On Friday he dropped "Different" and Sunday morning he dropped "Blessed (Remix)" with fellow 3Hunna rapper Lil Reese. "Blessed (Remix)" borrows the beat from Big Sean's recent single "Blessings" (prod. by Vinylz and Boi-1da). As you might expect, Durk and Reese's version has an entirely different flavor than Big Sean's version (or Schoolboy Q's "Blessed," for that matter) -- they bring that raw vocal intensity that we have come to expect from the Chicago drill scene. Who's verse are you feeling more, Durk's and Reese's?